One person has died on the spot in a road accident between Mazabuka and Monze. The accident happened around 16 hours local time. 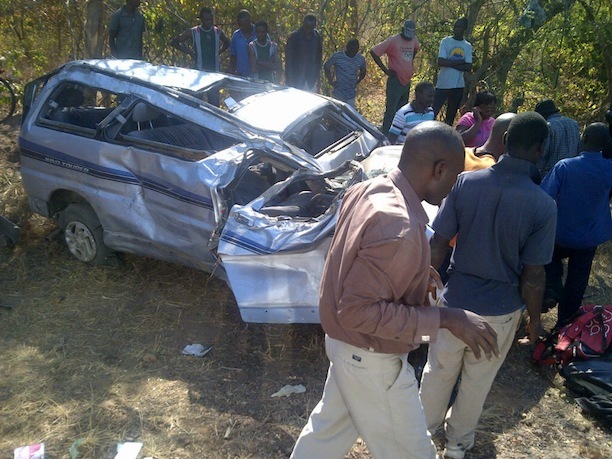 A Toyota Regius vehicle shown in the picture had five passengers plus the driver. The five who survived have been rushed to Mazabuka General Hospital. The vehicle overturned following a rear tyre burst, according to eyewitnesses.